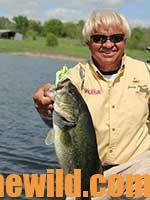 John’s Note: Because of his bubbling personality, many sportsmen who watch “Jimmy Houston Outdoors” on TV fail to realize just how serious a bass fisherman the host, Jimmy Houston really is. He’s been on TV for 30 years and had the #1 outdoors show on ESPN for 20 years. Houston, who started fishing the B.A.S.S. circuit in 1977, was the B.A.S.S. 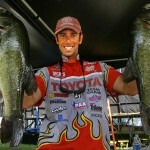 Angler of the Year twice and sometimes fishes FLW. 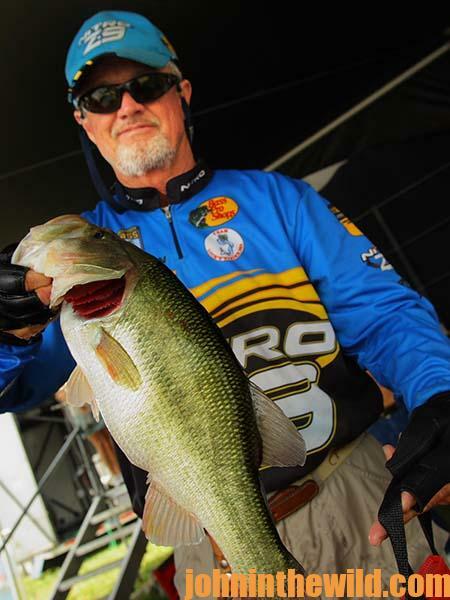 One of the nation’s best bassers, Houston has proven his consistency in bass fishing time after time. 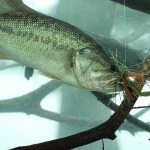 Here Houston shares how to consistently be a better bass fisherman. I define fishing for bass effectively in two ways. First, keep your lure in the bass’s strike zone longer than you do in the regions where the bass are less likely to strike. The more opportunities the bass has to take the bait, the more likely it will strike. Secondly, catch every fish that bites your lure. How many bites you get in a day doesn’t really matter. What counts is how many bass you have caught at the end of the day. To be an efficient fisherman, you must catch all the fish that bite. And, to do this, the angler must sharpen his fishing skills by learning to react quickly to a strike and knowing when to give the bass the bait and when to set the hook. Also a fisherman can become more effective by using the most-efficient baits like spinner baits, jigs and worms – all of which are single-hook baits. 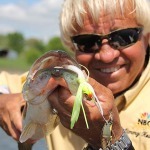 Most of the time, when a bass attacks one of these lures, you’ll get a good solid hook set and won’t lose the fish. The spinner bait is an excellent example of a bait that’s efficient. I have caught as many as 80 to 90 bass over the course of several days without losing a fish on a spinner bait. So, if you want to take bass and not merely get a strike, use lures that will catch and hold bass and that will cover water quickly and efficiently. 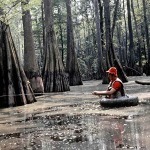 There are some fishermen who believe in secret baits and techniques. These anglers have convinced themselves that they have some magic tricks that will allow them to catch bass that no one else can take. You’ve seen these kinds of folks who will sit across a creek, watch another angler cast all the way down a bank and think that because of their superior angling skill or secret lure that they can catch a bass that the man who has fished the water ahead of him hasn’t. But why try and take bass that are hard to catch, since you’ll catch more bass if you fish for easy bass? I want to fish for aggressive bass that anybody can catch. 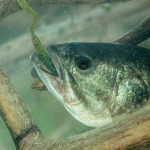 I don’t really care whether the bass want either a worm or a crankbait. The bass I attempt to take is the one that is starving to death and will hit any lure I happen to throw at it. If you want to catch more bass in a day of fishing, don’t try for the bass that only a few folks can catch. Fish for the easy bass. To learn more about bass fishing, get John E. Phillips’ Kindle eBooks and print books, “How to Bass Fish Like a Pro,” “How to Win a Bass Tournament,” “Catch the Most and Biggest Bass in Any Lake: 18 Pro Fishermen’s Best Tactics, “Hot Weather Bass Tactics” and “How to Become A Tournament Bass Fisherman.” Click here to get these books. John Phillips, winner of the 2012 Homer Circle Fishing Award for outstanding fishing writer by the American Sportfishing Association (ASA) and the Professional Outdoor Media Association (POMA), the 2008 Crossbow Communicator of the year and the 2007 Legendary Communicator chosen for induction into the National Fresh Water Hall of Fame, is a freelance writer (over 6,000 magazine articles for about 100 magazines and several thousand newspaper columns published), magazine editor, photographer for print media as well as industry catalogues (over 25,000 photos published), lecturer, outdoor consultant, marketing consultant, book author and daily internet content provider with an overview of the outdoors. 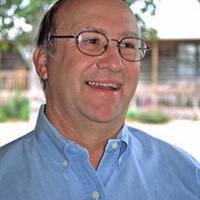 Click here for more information and a list of all the books available from John E. Phillips.